1. 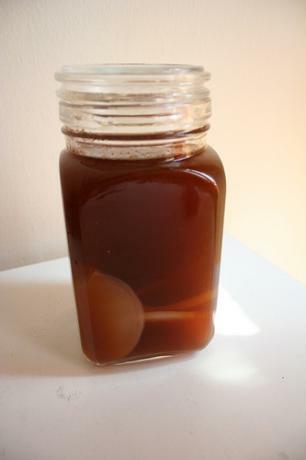 Anything that comes into contact with the kombucha culture should be absolutely sterile. Also wash your hands and the counter tops Before handling it. 2. Don't touch it with metal. 3. The fermenting jar (with the kombucha & tea) should be kept at a regularly warm to hot temperature at all times & away from cigarette smoke & air impurities. The jar should be covered with a sterile cheesecloth (or similar material) & fastened with a rubber band. 4. Use bottled spring water to brew the tea, not city water, which is chloronated & will kill vital bacteria. 5. Try brewing a batch with the karavan tea. Or get some oolong. Both make good varieties. (For any more info on how to actually prepare it, read through the link. Since we only have a 2 liter jar, ignore the whole 5 liters of water bit ;). Submitted by gutuAter on Wed, 03/02/2010 - 22:48.